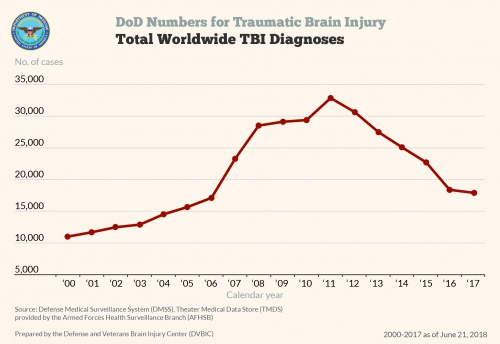 How Many Service Members Have Sustained a TBI? Who Is Affected by TBI and PTSD? How Do You Talk About Suicide with Patients with TBI and PTSD? 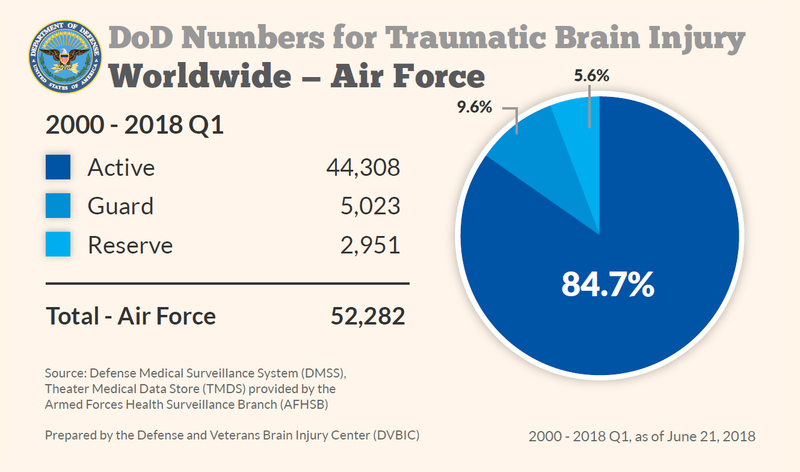 Service members can sustain a TBI during day-to-day activities, military training and military deployment. 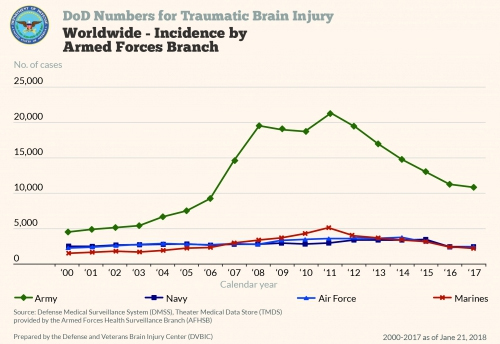 The majority of traumatic brain injuries sustained by members of the U.S. Armed Forces are classified as mild TBI/concussion. This report is also available for download here. Posted on BrainLine January 4, 2019. Reviewed January 4, 2019. 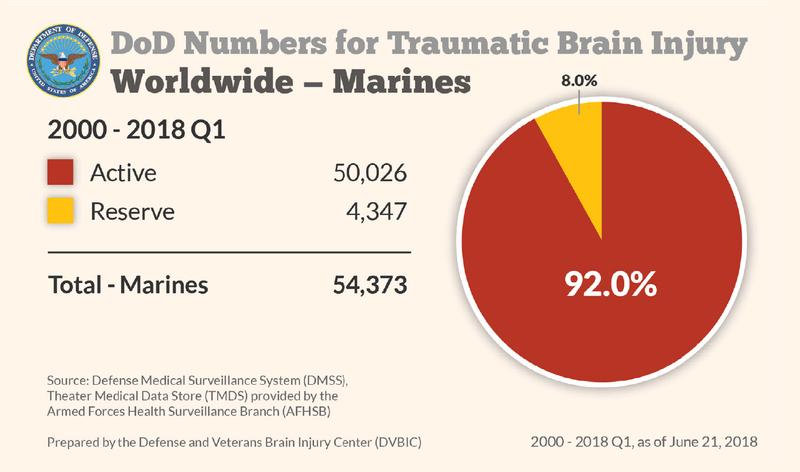 Source: Defense Medical Surveillance System (DMSS) and Theater Medical Data Store (TMDS) provided by the Armed Forces Health Surveillance Branch (AFHSB). Prepared by the Defense and Veterans Brain Injury Center (DVBIC). 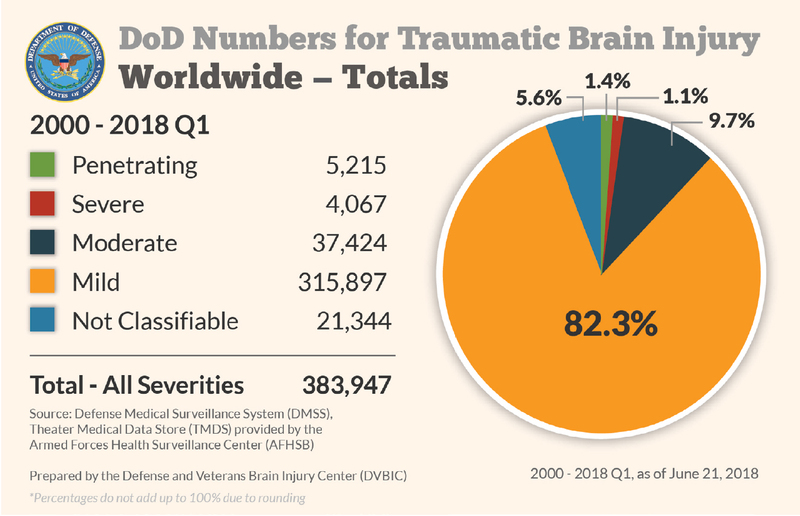 DVBIC is the Defense Department’s office of responsibility for tracking traumatic brain injury (TBI) data in the U.S. military.